With the release of Disney’s Teen Beach Movie on the 19th July we were lucky enough to be sent a copy of the soundtrack to review. On the morning of McKenzie’s planned departure for boarding school, she and Brady catch one last epic wave which mysteriously carries them right into “Wet Side Story,” circa 1962, where they meet Seacat, Giggles, Rascal and Cheechee, among others. Amidst the spontaneous song and dance, there’s trouble in paradise — it’s bikers versus surfers for control of the local hangout but Mack and Brady unwittingly interfere with the movie’s star-crossed plot, one that would pair a surfer (the teen matinee idol Tanner) and a biker (Lela, the sister of Butchy, the biker gang’s leader). Typical of the teen beach movie genre, a kooky subplot has mad scientists Les Camembert and Dr. Fusion scheming to alter weather patterns and take over the local hangout and then, the world. Roo has just entered the Disney musical film stage in her life so was very excited to see that there was a new film available on the Disney channel for her to watch. So when I handed her the album she disappeared upstairs, swiftly followed by loud cheesy musical tunes pumping out. Being 6 years old this album is right up her street, for me personally it is a little too cheesy for my liking but it isn’t aimed at mums. After watching the film the songs then started to mean so much more and she was joining along after only a few listens. I do like that it is available to purchase on either CD or mp3, after all we live in a digital age and like most children Roo has her own iPod so can listen and sing away to her hearts delight. 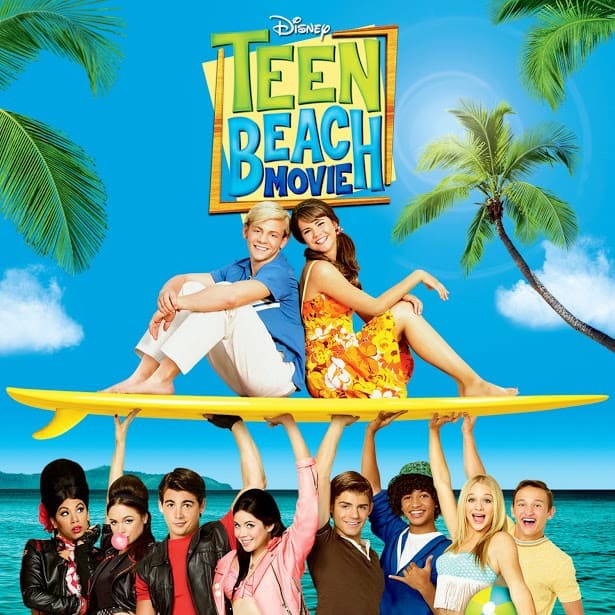 Disclosure Policy: We received a copy of the Teen Beach Movie Soundtrack FOC for the purpose of review.